I want to tell you one of the coolest stories. One of the big things I get to be involved in at Tenwek is a bible study for women called Tabitha Ministry. 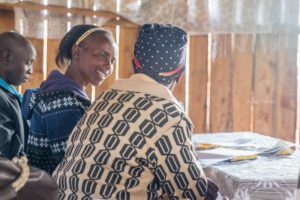 This is a bible study that started with one missionary mom and two Kenyan women that met together weekly to study the bible. More and more women showed up each week and it just kept growing. That was roughly ten years ago. 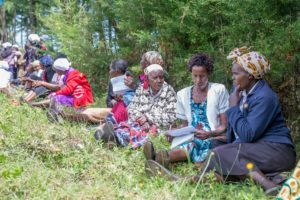 Today there are hundreds of women along the countryside around Tenwek that meet in small groups to study God’s word together. If a woman attends the weekly study for a month and memorizes 17 bibles verses, she can earn a Kipsigis bible. 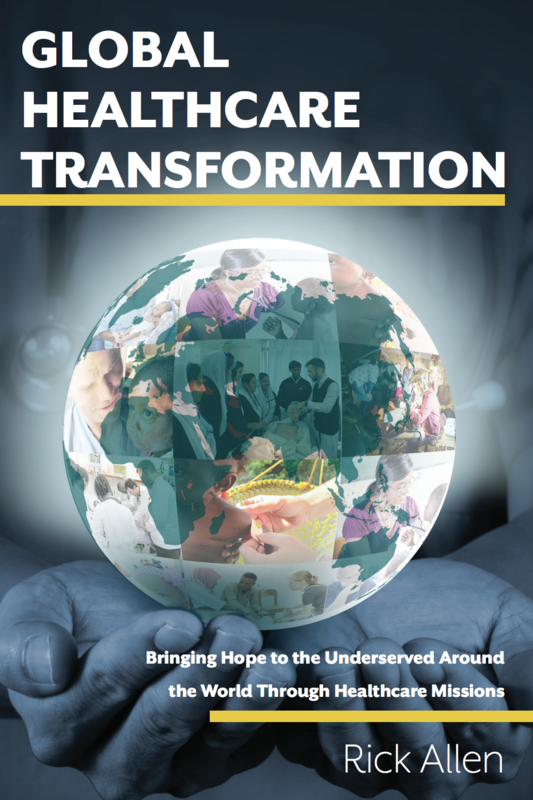 Presently, there have been over 10,000 bibles earned and received. I know its easy to get excited about numbers, but that’s not even the cool part of the story. A leader from one of the groups right by Tenwek moved three hours away to a place called Kuresoi. She had earned her bible and had kept some of the studies she had worked through. She started a small group of about 20 women in her church there and read to the women from a bible in their native tongue. After some time, things changed in her life and she stopped teaching the group of women that had formed. But the women had gotten a taste really studying the bible and now they were hooked. After a while, another woman from around Tenwek, named Selly, moved to that same area. The women who had been in the first bible study asked Selly if she could teach them and read from the bible that she had earned. At first, Selly said no, she had too much work to do around her house and family plot of land. The women would not take no for an answer. They said they would weed her garden while she sat and read to them. So for about a year, they would come and weed her garden and help with her crops so she could have time to teach them from the Word!!! Amazing! So when she sent word back to us, she said they had been meeting together and were ready to recite verses and receive their bibles. We were excited and wanted to know how many women were waiting for us so we could know how to prepare. A FEW HUNDRED!!!! Again, amazing. We made arrangements to go and visit them. We left at 5 am on that day. There were ten of us in total: most of us were sick by the time we got there, because of the rough roads. We stopped at Selly’s house first for chai and chapati. Her home is overlooking the tea fields on one side and the Mau Forest on the other. It was a beautiful place for so many reasons. After we finished breakfast, we continued on to the church where the women were waiting for us. Along the dirt road to the church, I could see some women walking ahead. I wondered if they were coming to say their verses. When they recognized it was their visitors in the van, they ran out of sight. As we crawled along the bumpy, rocky road we could hear singing. A whole mob of women spilled out onto the road singing, swaying and waving pieces of cloth. They completely enveloped the truck until the driver just gave up and stopped. Once we piled out of the van, we were surrounded. They escorted us the rest of the way to the church. Nearing the entrance to the churchyard, I could see a plastic string that had been stretched over the top of the gate. Hanging on it were clippings of flowers and bushes from nearby. It was a banner that we all walked underneath as the women each embraced us saying welcome, welcome, welcome. The women formed two lines for us to walk between on our way into the church building. I had such a hard time holding it together. Looking at each face, listening to their words of welcome and hearing over and over again – Amen, Amen, Amen. It was a day that they had worked so hard for, preparing and memorizing scripture in anticipation of receiving a bible in their heart language. Women of Kuresoi lined up and reading bibles. We had 10 Tabitha Overall Leaders with us in our van. Each woman stood and said the area they came from. While they spoke, there was so much joy on the faces of the Kuresoi women. Then each bible study group leader who came that day to recite said where they were from. Some of the small groups were ‘200 shillings one way’ away. It speaks volumes to hear distances of how far the women travel in terms of the cost to travel. We had traveled more than three hours to get to Kureosi. But some of the small groups in that area had to walk even further, ‘footing it’, to this church we were in. 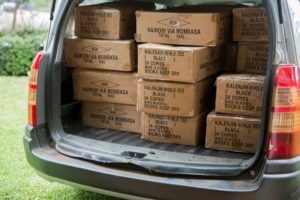 The stacks of bibles distributed in Kuresoi. All in all, the women earned and received almost 200 bibles. Every time I think of this day and the amazing things the Lord is doing here, touching hearts, drawing people to himself, and changing lives, I am in awe. I told you it was a cool story. God is really doing things!!! –In addition to being a Tabitha Ministry leader, Julie Ganey is a nurse and mother of two. This story touched my heart deeply as I am aware of the early roots for the Tabitha meetings at Tenwek. In March and April 1985, my wife and I visited for 2 months as I was a 4th year med student on rotation from Indiana University and my wife was a nurse. During a Tabitha meeting at the Hospital, my wife and other women taught about healthy nutrition and spiritual growth. There were a number of women from the surrounding community attending (perhaps 50-100) and a meal was provider during the conference. I took slides of the event and have them buried in the attic somewhere. I was so impressed at how hungry and enthusiastic the women were to learn God’s word and to hear the teachings. The singing that day was amazing and still rings in my ears as they sang hymns in Kipsigis(sp) and Swahili. God was moving back then planting seeds of his word. I have never gotten over the motto of the hospital. “We treat, Jesus heals”. It reminds me of the parable of the Kingdom being like a mustard seed. Who knew the great light to the nations that would come out of faithful ministry at Tenwek. Jesus be praised.